There’s a very good chance that Apple’s stock will fall in the wake of the keynote, presumably indicating that Wall Steeet was not instantly impressed. Now, I’m a WWDC keynote fan myself–there’s nothing more important to hardware than the software which it runs, so the focus on operating systems and apps makes these events more interesting to me, not less so. But as we gird ourselves for Monday, it might help to calibrate expectations if we review the last ten years of WWDC keynotes. Whatever Apple does announce won’t result in a massive run-up on its stock. And those are the only predictions I’m making. See you on Monday: I’m going to live-tweet the event as it happens, and then follow up here with further thoughts after it’s over and all is known. Despite everything the so-called analysts and unwashed bloggers (present company excepted, of course) bitched and moaned about after the WWDC Keynote, this is what happened. I think you’re mostly right. 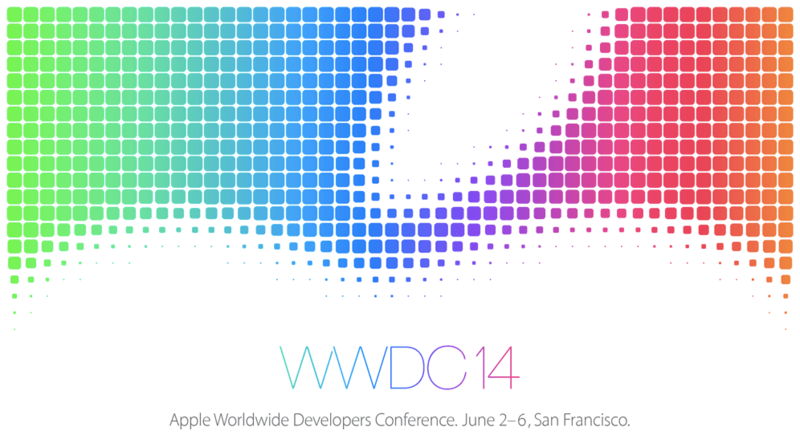 The one loophole that I see is that Apple has introduced hardware at WWDC if developers need to know about it. For example, the first Mac with a “Retina display” appeared at WWDC, which made sense because developers need to know about that in order to write good-looking applications for it. But there’s no obvious candidates for new hardware upgrades like this which would necessitate a developer conference announcement. So I suspect that we’ll see incremental hardware updates, if at all, and talk will mostly be about OS X and iOS. There’s almost always a lot of OS X time at WWDC. In particular, the architecture of the new Mac Pro is sufficiently different from previous workstations (dual high-powered GPUs!) that I think there’s going to be a lot of time spent on OpenCL/GCD optimization. I suppose there’s a slim chance of a new iMac (they’re due for an update, anyway) with dual GPUs, but it’s a bit early for that. Maybe in a year or two. Are you seriously arguing that the event that Apple released the iPhone 3G, 3GS and 4, that Apple announced their biggest change in their Mac line (switch to Intel processors), and where apple introduced their most powerful Mac, the Mac Pro, is not about hardware? Yes, those 3 models are less than half of the iPhone models that they’ve announced so far, and all occurred before they finally settled on a fall release cycle for them. Combined, they account for only 3 WWDCs out of about 20. You could make a better case that WWDC is about New Balance sneakers, because we’ve seen a lot more of those than we have iPhone announcements at WWDC over the years. The Intel transition is a rare example of a hardware change that is extremely relevant to software developers. I’m not sure Apple would have announced it at WWDC had it not been one of the very few changes (a new CPU architecture!) that is of primary importance to developers. If (or when) Apple is changing CPU architectures again, then they will definitely announce it at WWDC. It’s possible they’ll eventually shift to their own ARM chips for their laptops, for example, and for that they’ll need to teach Mac developers how to make FAT binaries again, and how to optimize on ARM. It seems pretty unlikely that it’s going to happen this year, though. Short of such an announcement, I don’t see any reason for them to announce any significant new hardware today. Yes! Or at least that it isn’t primarily about announcing new hardware products. The era when mew iPhones got announced there is obviously an exception. But the Intel switch was developer news, not a product announcement, and the Mac Pro unveiling was a brief preview. I’m not arguing that Apple never introduces hardware at WWDC–just that it’s not the purpose of the event, and that nobody should be surprised or disappointed when it doesn’t happen. Where is the iPad in these announcements? AWOL? It’s amazing how the myth of Jobs has grown since his passing. Whilst he was around many were ready to pan him and his presentations and declare his products as “yawn”. Yet today seemingly everything he touched was gold and wonderful and awe inspiring and if only he was still alive Apple wouldn’t be doomed.